I find this behind the scenes glimpse fascinating. Festus is not a bad guy, Clearly he is both confused and intrigued by Paul's case. He is also a humble man because he is admitting to his superior that he doesn't know what to do. Festus doesn't say he has never heard of Jesus but clearly doesn't know much about Him and has formed no strong opinion either way. Essentially from his perspective he has been dragged into a religious dispute about which he knows little and is unsure what to do. Think about it, Paul spent two years sharing his faith with Felix and recently Felix has moved to a different place and position. Now Paul is sharing his story with Festus and now Festus has created the opportunity for his story to be told to King Agrippa in front of the entire 'who's who' of Caesarea in the auditorium. Can you see what God is doing? Just as he used Daniel to reach foreign king after foreign king with the story of the True God, so Paul is being used to reach a class that no ordinary person could reach. The Jews have actually helped the cause of the Gospel by attempting to get rid of Paul. Speaking of the Jews I want to make two unflattering observations not to disparage them but to use their experience and mistakes as a lesson for us. First of all in their misplaced zeal to get rid of Paul they had to fabricate lies. They then had to present those lies to a public court, a court of "Gentiles", men who do not know the True God. In simpler terms instead of sharing good news with men who desperately need it, they are instead embarrassing themselves and shaming the Gospel by their display of foolishness. So pathetic was their "case" against Paul that Festus says "I need to send Paul to Caesar but I'm not even sure what to tell him the problem is." 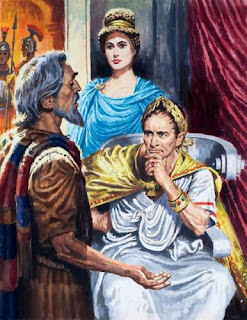 Festus is actually hoping that by having Paul speak to the assembly and Agrippa that it will give him something to work with as far as a letter to write to Caesar Augustus about the case. Let me put it in really simple terms. The Jews who should be an example to the Romans of a better way, are instead an incoherent embarrassment who have become a pain in the backside of Festus. The reality is every Christian and every church is a witness. The world around you may know little or nothing of your religion but they are forming an opinion based on you. Their vague picture of God is being informed and shaped by their interactions with you. Here is the second unflattering thing I want to point out. Don't forget that Paul came to Jerusalem fearing the Jews who believed in Jesus. See at this point the Jewish faith was divided. There were anti Jesus Jews or old school Jews and pro Jesus Jews or followers of the Way, what we now call Christians. It was the Christians who were hostile to him. While he was carrying the gospel around the world the church in Jerusalem was gossiping about how Paul has abandoned his Jewish roots entirely and was trashing the basic laws of their faith. Liars spread these rumors and they has spread like wildfire by church members more eager to talk than to think and investigate. By the time Paul returned he had become public enemy number one of the people who should have been his greatest supporters. Their misplaced zeal ended up putting Paul in prison and put them back in league with the old school Jews who had killed Jesus. Do you see what happened?!! The supposed followers of Jesus are now in league with the men who killed Jesus, and have their "guns" aimed at Paul, the greatest champion of the Way. All of it accomplished by liars and gossips - sins we don't even consider that serious. I? mean who doesn't talk about other people right? Who doesn't pass on information that may or may not be true? Now a second Roman governor is involved, and a king, and soon Caesar, all of them trying to make sense of nonsense. Meanwhile God is using it all to bring the Truth to the highest seats of Roman authority. Don't get me wrong in what I'm about to say because neither Felix nor Festus are perfect men, but it's pretty bad when the pagan rulers are more noble and fair than the leaders of God's church. I've said it before and I'll say it again. Religion minus Jesus equals the greatest curse and evil the earth can know. Be certain you are following Jesus not religion and spreading Good news, not gossip. Acts Day 274 - Justice? The more things change the more they stay the same. Paul was never tried fairly by Felix because Felix was more concerned with political issues than with justice. Festus has taken his place. Paul go has been in custody for two years. It is likely that the change offered him some hope. Maybe the new guy will be better? As we saw yesterday the Jews saw the new guy as a new opportunity to get rid of Paul once and for all. However Festus was wiser than they had hoped. Rather than agreeing to send Paul to Jerusalem he told the Jews to send a delegation back with him to Caesarea. Festus would try him there and if found guilty he would be prosecuted. It seemed that after two years the saga would end, one way or the other. Having arrived back in Caesarea the Jews made their case which was long on accusations and charges but empty when it came to evidence. Paul simply stated his innocence. Festus was trapped. He wanted Paul to be guilty because it suited his political goal of pleasing the Jews. However he couldn't blatantly condemn a man with no evidence whatsoever. Seeking to pass the buck he suggested Paul be handed over to the Jews to be tried by them in Jerusalem. That way the Jews would get what they wanted without Festus being involved. Paul was a Roman citizen and as such had rights so he appealed to Caesar. 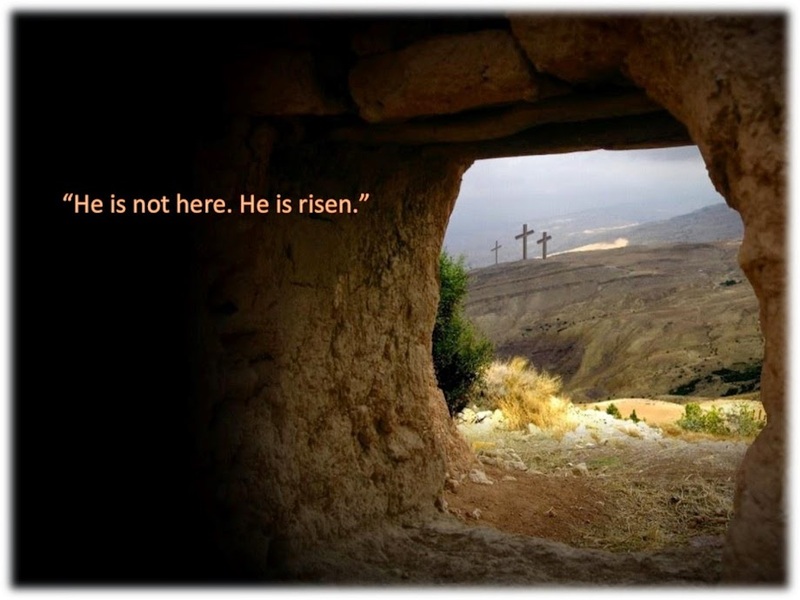 He knew going back to Jerusalem was death by one means or another. By appealing to Caesar Festus saw a way of escape. He would send him to Caesar and effectively wash his hands of the entire mess. Do you remember the "trial" of Jesus? He was sent to Pilate. Pilate saw that the situation was political suicide so he sent Him to Herod. Herod wanted nothing to do with it and sent Him back to Pilate. Justice can only be granted by men who are themselves just. In all these scenarios the men tasked with justice had a different priority - political gain. I repeatedly tell my children life is not fair. We have a built in sense of justice. We believe life should be fair and indeed it should be but it is not. Sin has caused men to think about themselves more than others. Right and wrong and the weight of evidence are feather light considerations in comparison to their own personal situations. The more corrupt any culture becomes and the greater gains and losses on the political side the less concern there is for justice. You see being a Roman governor over the Jews was no easy task. Paul was just a guy but after he was gone either by release or execution Felix and now Festus had to continue the delicate political dance that ruling the Jews on behalf of the Empire required. The more favour a they could do for the Jews, the more peaceful their work would be. Lesson: When I deal with my children, my wife, my neighbours, my friends, my church members, etc... what is my greatest motive? What drives my decisions at the deepest level? Is it my gain, my benefit, my future or is it their gain, their benefit, their future? Love gives. Jesus had only one concern: Us. He could have easily avoided the cross. He could have never come here to begin with. Life isn't fair because there is a war going on in the universe. The scales will never balance until the war is over. The real question is how do you use the scales when you sit in a position to tip them one way or another? Love sacrifices for others and suffers injustice for the benefit of others. Selfishness tips the scales to gain an advantage at the expense of others. We know what Jesus did. We know what Pilate did. We know how Felix tried to play the middle and how Festus passed the buck. What will we do? What will I do? 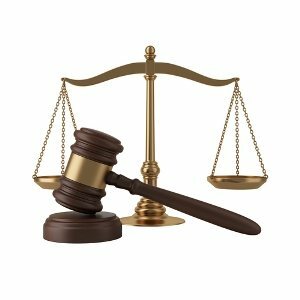 What will you do when the gavel is in your hand? 25:1 "Festus then, having arrived in the province, three days later went up to Jerusalem from Caesarea. 2 And the chief priests and the leading men of the Jews brought charges against Paul, and they were urging him, 3 requesting a concession against Paul, that he might have him brought to Jerusalem (at the same time, setting an ambush to kill him on the way)." I must confess that this kind of dedicated determination toward hatred is thankfully foreign to me. We can safely guess by the flow of events that the Jews had given up on Felix ever punishing Paul in any meaningful way but they certainly hadn't given up themselves. As soon as Festus took over they were ready to pounce on him. The plan was simple. They wanted Paul to be transferred back to Jerusalem so they could kill him on the way. It sounds like the plot of a movie but it's the plans of the leading men of the church, men with wives and children, men who lead the prayers in the synagogues, "men of God". When and how did the church come to the place where it was like this? Clearly it was before the time of Jesus too, because planning His murder was done repeatedly without it being even unusual. Bribes were paid. Lies were told. Soldiers were bought off. Delegations were sent to flatter and deceive. Being a leader is tough. It requires wisdom. People will make seemingly innocent requests like the transfer of a prisoner from one city to another but behind the innocent request is something much more sinister. Today's lesson is both practical and simple. When you are new to a position of leadership, be it babysitting, a substitute teacher, or a CEO, you need to recognize there are those ready to take advantage of your lack of experience. Kids will tell you the wrong bedtime in order to stay up later. However they likley won't say "Mommy said we can stay up until 10." That sounds too suspicious. Instead it will sound more like "Mommy said we need to be in bed by 10. 10:30 at the latest." Students will tell you the teacher postponed the test but it will be accompanied by a story that makes it sound reasonable. Everywhere we go and every position of leadership we inherit will come with land mines. Someone will have an agenda. Someone will be a tail trying to wag the dog. It won't always be sinister either. They may genuinely believe in their cause but will deceive you in order to achieve "the greater good." 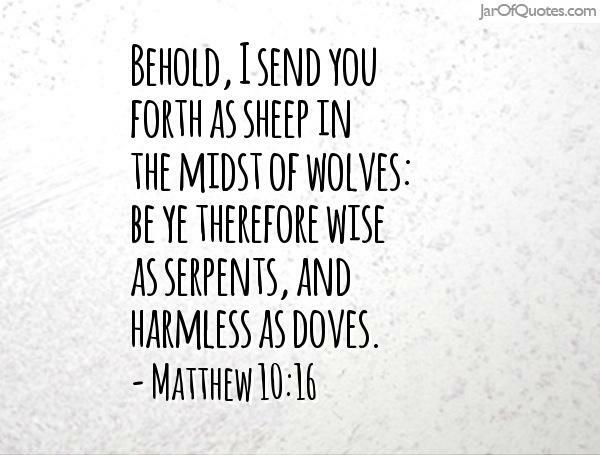 Jesus told us to pray to be wise as serpents but harmless as doves. We need to have the wisdom to recognize evil plots or underhanded schemes but the heart to never employ those schemes ourselves. It's tough. I always want to assume the best about people but unfortunately I can't. Neither can you. 24:26 At the same time too, he was hoping that money would be given him by Paul; therefore he also used to send for him quite often and converse with him. 27 But after two years had passed, Felix was succeeded by Porcius Festus, and wishing to do the Jews a favor, Felix left Paul imprisoned. As a church we are currently studying the book of Job. Job suffered terribly even though he did nothing wrong. Paul is trapped under house arrest in Caesarea even though he did nothing wrong. Their specific circumstances are different but let's explore the similarities. The way Felix chose to treat Paul had nothing to do with Paul. The way Satan attacked Job had nothing to do with Job. In both cases the motivation that lead to their unjust treatment was unrelated to them. In Paul's case Felix was a greedy man. He was greedy for money, power, and success. Paul was handed to him by Lysias (the commander who rescued him from the Jews). Once he had him he realized he was innocent but the opportunity to exploit the situation for his own gain was too tempting. Job was a man who loved God supremely. His life was a testimony to the fact Satan did not have complete control of humanity. Satan's accusation before God and the watching universe was that Job was actually like Felix. Job was an opportunist. He saw in God a chance to fake loyalty in exchange for His favour. That was Satan's charge. Some feel God left Job out to dry. That He should have done more to protect him. What they fail to realize is that the accusation once made had to be addressed. If true than the earth and all of humanity really were loyal to Satan and God would have no legal/moral right to interfere in the affairs of men any more. It had to be seen if Job was a lover of God or an exploiter. Job knew nothing of this. Did Paul know the real reasons Felix continued to hold him for two years before passing him off to Festus? I'm sure he suspected. Either way the result was the same. He was innocent yet held by an unjust ruler simply because he held the power. First of all life isn't fair. Don't drive yourself nuts expecting it to be. Secondly be thankful life isn't fair. The wages of sin is death. If God handed out justice without mercy we would all be dead. Thirdly allegiance to God will be costly in this life. Jesus said "They will hate you because they first hated Me." Satan is a relentless tyrant who obsessively hates Jesus and when anyone aligns themselves with Jesus they become a target. We currently live in a culture where Satan is a myth to most and faith in God is on the decline. For this reason Satan is fairly quiet but his strategy is working marvelously. He has us distracted and living as if earth is heaven and our 70 years here are all there is. Why disrupt us? However try and get serious about living for Jesus and see if you face any resistance. Make no mistake, this world is a war zone on a cosmic level that we barely understand. Lastly, look at how conflicted Felix was. 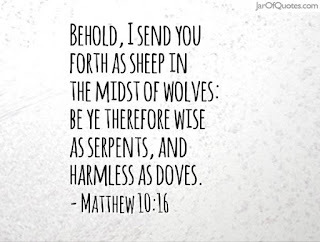 He believed enough to be frightened by Paul's talk of righteousness, self-control, and the coming judgment yet he behaved to selfishly toward Paul. That inner conflict, the contradictory behaviour, all of it points to the fact that the war raging in the cosmos was also raging inside him. Every man and woman faces the same conflict. Each of us must choose. Job and Paul both demonstrated that their love for God was genuine and came before every other consideration. I don't know what you will choose but I choose Jesus. I choose love. Love Wins. 24:24 But some days later Felix arrived with Drusilla, his wife who was a Jewess, and sent for Paul and heard him speak about faith in Christ Jesus. 25 But as he was discussing righteousness, self-control and the judgment to come, Felix became frightened and said, “Go away for the present, and when I find time I will summon you.” 26 At the same time too, he was hoping that money would be given him by Paul; therefore he also used to send for him quite often and converse with him. 27 But after two years had passed, Felix was succeeded by Porcius Festus, and wishing to do the Jews a favor, Felix left Paul imprisoned. It's no wonder Felix didn't want to hear about righteousness, self-control, and the coming judgment. I don't know if I should but I actually feel sorry for Felix. He clearly is a man torn between two worlds. His desire to talk to Paul indicates he has a conscience and that God is drawing him. However he was born and raised in a system hostile to faith and the character of Jesus. He wanted to release Paul but greed and political gain prevented him. Did you notice the time line? For two years Felix kept Paul under house arrest. For two years he would have meetings with him. For two years he wrestled between right and wrong. In the end it appears sadly that greed and a desire for political gain won. Do you know what I see in this? The relentless love of God for a waffling Roman governor. Part of me likes to hope that like the thief on the cross Felix eventually came to his senses and surrendered his broken soul to God but I have serious doubts about that. It's an unwise thing to flirt with God and stay the course of sin and rebellion. Two years God gave Paul into the company of Felix. Some entire cities only had him for a few months. Some cities never saw or heard Paul preach at all but Felix had him whenever he wanted him for two whole years. The lesson: Some people rarely if ever get to talk to someone who really knows Jesus. Others get the privilege over and over yet never surrender their hearts to Him. They have a Bible by their bed, parents who love God, the privileges of church family, a devoted pastor, maybe even a church school, mission trips, and all kinds of chances to give themselves to Jesus but they keep flirting. The Bible says "Today if you hear His voice, do not harden your heart..."
I had a chance once to drive a Ferrari. It belonged to my cousin. I hesitated. I was a little nervous to drive it and I had a full schedule that day already. There would be other days and other opportunities right? In the end I went for it and it was a blast. That Ferrari sits in the back of his garage with a blown engine now and he's not sure he is going to fix it. Had I not seized the opportunity that day I may never have had another. Besides all that Felix had to live every day torn between who he was and the man he knew he should be. What a miserable way to live. Choose freedom. Choose to be the man God designed you to be. Choose real happiness! Carpe Diem! Acts Day 265 - How Do We Taste? Acts Day 259 - "What Is the Problem?!" Acts Day 258 - A Clear Conscience? Acts Day 257 - "White Privilege"